To perform your best you need to fuel your body well too, what according to you should comprise a healthy breakfast meal for an athlete? Also, what snacks do you recommend for post training nutrition? I’m pretty spoiled when it comes to good food since I’m living with a boyfriend who loves to cook and is also an athlete. This makes it so much easier to eat healthy. It has never been a difficult thing, it’s just normal for us to eat healthy and good food. We are never on a diet, but of course we think twice before championships. We eat clean food. That’s our secret. To make everything from scratch so we know what it contains. I recommend Skyr (a type of yogurt) and oatmeal in the morning, then I personally love mackerel in tomato sauce and egg for lunch. And I’m also a fish person so shrimps and salmon I can’t live without. We make our own bread so the quality is pretty good and has a lot of fiber. Before training, I eat varied since it depends when the training is held. Before I had kids I always ate two hours before, but now it’s not easy to plan it so well. So I’m more beware that I have been eating and won’t get empty during my training session and that I will be eating fast and good after training. Your biggest pole vault inspiration? As a personal trainer, share with us 5 tips that you would provide to a client who is 40, overweight & wishes to lose weight and gain muscle. Nutrition. It’s important, so even if I don’t have the possibility to watch over them I would give them a pep talk on how to change small things in life. HIT training / high intensity training. No matter if your goal is fat loss, muscle gain or an athletic performance this type of training can help you nail it. Interval training (also High-intensity interval training). This is essential. This is cardio, which could be all from treadmill sprints, stairmaster, jumping rope, cycle sprint etc. Short but effective training. Core exercises and stability. Having a strong core is also essential for lifting and using your body properly. So I always have a lot of focus on the small muscles to make the client strong and prepared for bigger lifts and new body challenges. CrossFit: Challenging with some CrossFit exercise, since it’s so important to be able to challenge your body and achieve a good self-control. Most people find motivation in managing things that they never thought they could do. I love putting up fun tests to make them achieve this positivity. 5 Favorite exercises that are a must in a pregnancy workout routine. How far are Kegel exercises beneficial? I now wish I did it even more, so don’t underestimate kegel exercises. 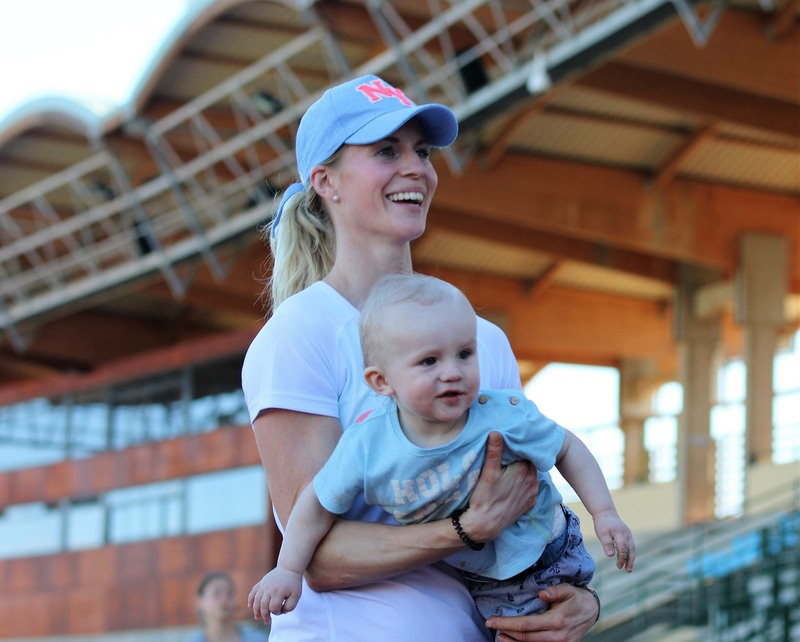 My “mistake” was that I started training 2 weeks after I gave birth. Felt so good and normal, so didn’t find this wrong at that moment. But time showed me that I should have done more kegel exercises and that my pelvic floor wasn’t quite ready. Since I couldn’t do any jumps without running for the toilet first. This has now become better 😉 So everyone “do your Kegel exercises everyday”. Running in stairs. Here I can have high intensity and high speed. Love doing this since I can’t feel any pain or discomfort. CrossFit exercises and exercises where you have to lift your own body. How would you define Women Fitness? I fancy the magazine, and it gives me good tips and motivation. Having time off from kids and relaxing with tea and Women Fitness could make my evenings perfect.